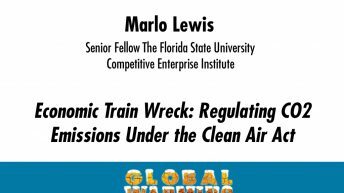 Marlo Lewis, Jr. is a senior fellow at the Competitive Enterprise Institute (CEI), where he writes on global warming, energy policy, and other public policy issues. 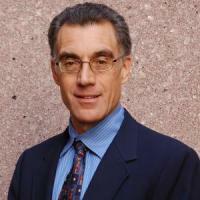 Prior to joining CEI in April 2002, he served as director of external relations at the Reason Foundation in Los Angeles, California. 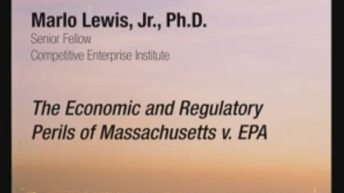 During the 106th Congress, Lewis served as staff director of the House Government Reform Subcommittee on National Economic Growth, Natural Resources, and Regulatory Affairs. 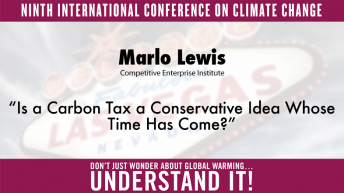 His interests include the science, economics, and politics of global warming policy; the precautionary principle; environmentalism and religion; and the moral basis of free enterprise. 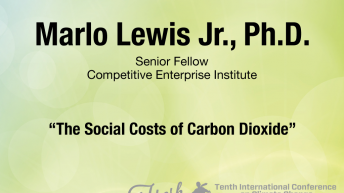 Before joining CEI for his first tenure with the organization in 1993, Lewis served as research director for Citizens Against Government Waste. 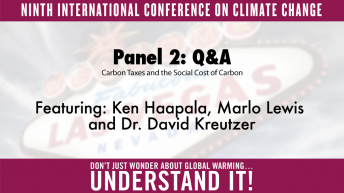 Earlier, he was a staff consultant to the House Foreign Affairs Subcommittee on International Economic Policy and Trade, a special assistant at the State Department Bureau of Inter-American Affairs and Bureau of International Organization Affairs, and a visiting assistant professor of political science at Claremont McKenna College.